Mike Hess, pastor of Calvary Baptist Church, Mount Pleasant, Iowa, is the Council of Eighteen’s selected candidate for the position of GARBC national representative. The Resource Center staff is grateful to the Council of Eighteen search committee for their diligent work in the process of selecting a candidate. At the 2018 GARBC Conference, Mike will speak during a main session and will participate in a Q and A with conferees. Churches will vote regarding his confirmation in the association’s annual business meeting during the conference week. Please pray for Mike and his wife, Christina, and their children, Joseph and Hannah, as they anticipate this potential ministry and for Regular Baptist churches as they consider and vote regarding this appointment. In addition to enjoying messages by Mike Hess, Thomas White, Steve Pettit, Michael Wilburn, Duke Crawford, David Gunn, and John Greening, attendees of the 2018 GARBC Conference will be voting regarding the confirmation of Mike Hess as the national representative. If you haven’t made plans to attend the 2018 GARBC Conference, reserve the dates of June 26–29 on your calendar and start planning your conference/vacation itinerary. Don’t miss this opportunity to combine spiritual renewal, family programming, and good fellowship. Register now to be able to vote during the business meeting and to receive an early bird discount for the conference! Every year Regular Baptist Churches welcomes churches into the association at its conference the last week in June. If your church is not part of the association, we invite you to fellowship with us. By doing so, you will be part of a group of churches that upholds Biblical truth and authority and that cares for one another as partners in ministry. Churches in the GARBC gain access to grants and loans for church facilities or start-up costs for church plants, 501(c)3 tax exempt status, connections with churches worldwide, and the opportunity to band together for Biblical truth that is often countercultural. Mission churches may apply for fellowship through church vote and by completing a this one-page application. Established churches may use this application. Be part of something bigger than your individual church. Together we can accomplish more! 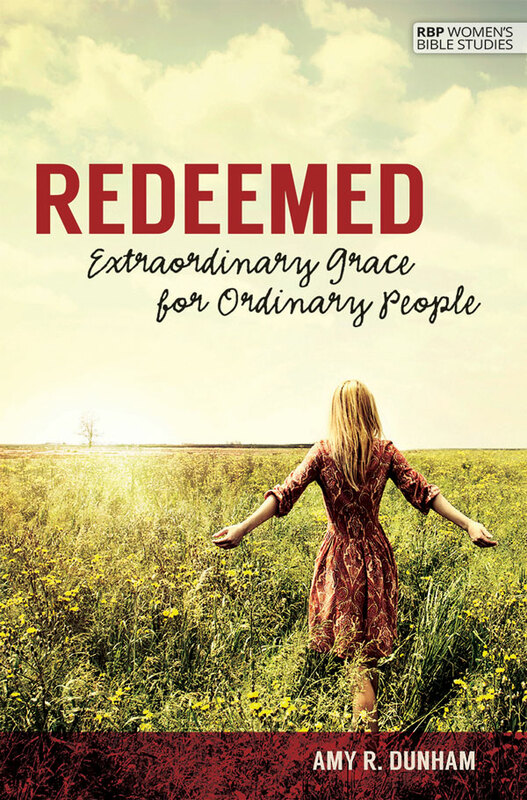 Regular Baptist Press is pleased to announce the publication of Amy R. Dunham’s new women’s Bible study, Redeemed: Extraordinary Grace for Ordinary People. The book of Ruth is the account of an ordinary girl who moves to an ordinary place to live among ordinary people. But God is graciously working to do extraordinary things through her. Redeemed explores Ruth’s story as God brings her into His family, places her in the line of Christ, and paints a beautiful portrait of His big redemption plan—one in which famine leads to faith and foreigners become family. What is the GARBC doing internationally? If you are unsure how to answer that question, Chris Hindal personally invites you to the Regular Baptist International luncheon on Wednesday of the 2018 GARBC Conference. Regular Baptist International, of which Chris is director, is expecting more international guests to the conference this year than ever before. Hear international leaders’ testimonies and be encouraged by God’s work around the world. You have to eat somewhere, so why not eat with Chris Hindal and friends? Posted in Association Updates, e-INFO, May 2018 on May 11, 2018.